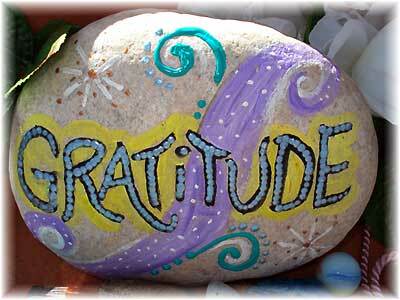 Do you have an attitude of gratitude? I know that I need to be reminded every once in a while to count my blessings. So in the spirit of Thanksgiving, here is some information on how to actually practice gratitude to promote a more positive and healthy outlook. There are many variables affecting good health, but the notion that simple acts of gratitude, appreciation, and thankfulness — all free and relatively easy to implement — can have a positive impact on health is intriguing and merits attention. An International Positive Psychology Association (IPPA) Newsletter article of April 2008 described gratitude as an "orientation towards noticing and appreciating the positive in the world." People naturally take for granted the routine things of life, becoming immune and unappreciative of the positives of daily life. Though this adaptation guards the senses against overload, it can also deprive a person of the ability to focus upon and appreciate a sunny day, a spring breeze, and a child's laughter. These are all opportunities for gratitude and an incumbent boost to good health. The following gratitude exercises are easy to do and will help you maintain an attitude of gratitude. Gratitude Letter – Write a letter of gratitude to someone who has been a positive influence in your life describing how you were affected and what it meant to you. For even greater benefit deliver the letter in person. Three Good Things – At the end of each day, recall three good things that happened that day, considering even the smallest positive event. You at Your Best – Reflect on an experience that demonstrated you at your very best. Write about it and describe your feelings. Novel Use of Signature Strengths – Understand your special skills and abilities often called your signature strengths. Each day find a new way to utilize one of your strengths. Three Questions – At the end of each day, ask yourself these three questions: "What has surprised me?," "What has touched me?" and "What has inspired me?"